You can earn a small percent of purchase at Kroger right back into your child’s band account. See directions below to sign up, then simply print and drop your reward report into the green box. It’s that easy. If you have not done so already, go to www.Kroger.com and register your Kroger Plus card online. If you do not already have a Kroger Plus card you can get one at the customer service desk at any Kroger. Click on “Create and account” to register your Kroger Plus card, if you have not done so already. If you don’t have an ONLINE Kroger account click on SIGN UP TODAY in the ‘New Customer?’ box. Enter the Organization Number (80928) or name of organization (COLLINS HILL HS BAND), select organization from list and click on confirm. Purchases will not count for your group until after your member(s) register their card(s). How do I know if my Kroger Plus card is enrolled? Does everything in my shopping cart apply towards my donation to the school? Specific purchases that are excluded include alcohol, tobacco, postage stamps, certain gift cards, lottery tickets, fuel, sales tax, etc. Can I donate to more than one organization? No, your Kroger Plus card can only be linked to one organization at a time. Will I still earn fuel points and all the other perks of a Kroger Plus card? 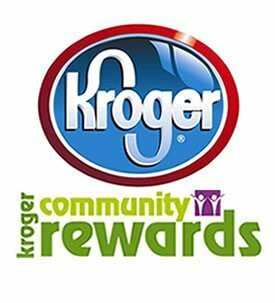 Yes, participating in the Kroger Community Rewards program only helps your school, it does not take away or diminish any of the other advantages of being a Kroger Plus card holder.